If I would’ve known about Bad Times at the El Royale at the beginning of the year, there’s no doubt that it would’ve been a top ten most anticipated film for me, for multiple reasons. As our first look, both Empire Magazine and Entertainment Weekly have unveiled the first official look at the film, which is directed by Drew Goddard and features quite an incredible cast. Goddard’s names has been attached to many projects over the past few years, including as director, but this is his first film as director since The Cabin in the Woods, which also starred Chris Hemsworth. The film was amazing and most of all, unique. That, as well as his time on Daredevil season 1 are two of the three reasons why I’m looking forward to this film. This has shot up my leaderboard for movies for the rest of 2018. That third reason I was hinting at earlier, it’s the cast. Chris Hemsworth can pretty much do anything, but Goddard has assembled an insanely talented cast that brings something different from anyone else on set. If these photos and story details are to be taken into account, the cast will no doubt be the part that the movie hinges on. Check out the rest of the images below, and after doing so, leave your thoughts in the comments! Am I crazy to be this excited? Are you a fan of Goddard? Which character are you looking forward to the most? 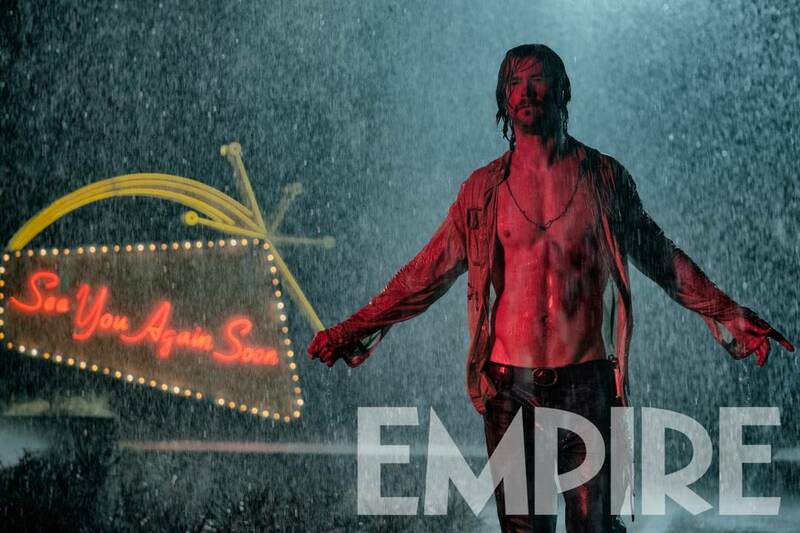 Starring Chris Hemsworth, Dakota Johnson, Jon Hamm, Cynthia Erivo, Cailee Spaeny, Lewis Pullman and Jeff Bridges, Goddard’s Bad Times at the El Royale opens on October 5th.